The Hunger Games: Catching Fire Official Trailer Released! 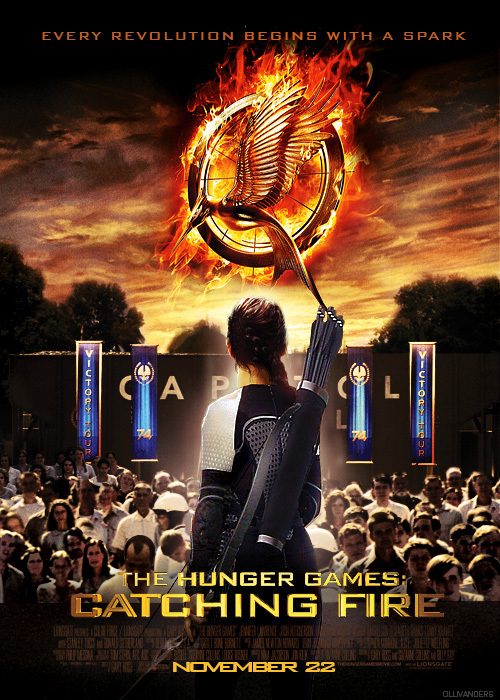 During the 2013 MTV Movie Awards, the first official trailer for the next movie of The Hunger Games trilogy, Catching Fire, was released. And if you are a fan of the novels by Suzanne Collins, you see that the images therein are just the tip of the iceberg for movie content. In my opinion, the film version of the first novel was a pretty competent portrayal. Of course, it’d be nearly impossible to completely capture everything from the book, but it was true to the story. And it looks like they are carrying that same follow-through into the new film. The trailer only roughly covers the beginning of the novel. It basically sets the stage for all of the meat of the story. You’ll see the beginnings of Katniss and Peeta touring the districts after their win. You’ll also see the state of the districts and the growing resentment amongst their inhabitants. But most importantly, you’ll see President Snow hatching his plan. I won’t spoil it for you in case you haven’t read the books, but ish is about to get real. If you enjoyed the first movie, take it from me, you’ll want to read the novels too. I read all three novels based upon the recommendation of a friend, and I’m glad I did. It just gets better. What do you think of the trailer? Pumped for Catching Fire? Are you a Hunger Games fan? Fire back in the comments!